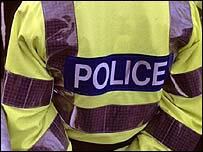 Devon and Cornwall Police are set to be among the first in Britain to use new powers to prevent illegal raves. Previously, 100 people had to be gathered in an open space before officers could take action. But under the Anti-social Behaviour Act 2003, officers have powers to break up a crowd of 20 or more people in open or indoor areas. And anyone who is moved on faces arrest if they try to start up another gathering within 24 hours. As the build up to the Glastonbury festival gets under way, officers from Devon and Cornwall are joining up with forces across the South West, including Gloucestershire, plus Avon and Somerset to use the new legislation to break up the gatherings before they start. When entry restrictions were tightened up at the Glastonbury Festival two years ago, many revellers who were unable to get in moved to nearby sites. Hundreds of people attended an illegal event on a disused airfield at Smeatharpe in Devon. Local residents claimed they were threatened and intimidated by some revellers and dogs were allowed to run wild. The police were accused of abandoning the local community to the party-goers by not stopping the illegal event and angry villagers said they were left with a legacy of burnt-out cars, human waste and tonnes of rubbish. Senior officers say the Anti-social Behaviour Act allows them to deal with incidents more effectively rather than relying on public order legislation. The new legislation also gives police powers to remove 20 or more people suspected of trespass, which will stop raves in disused warehouses taking place.